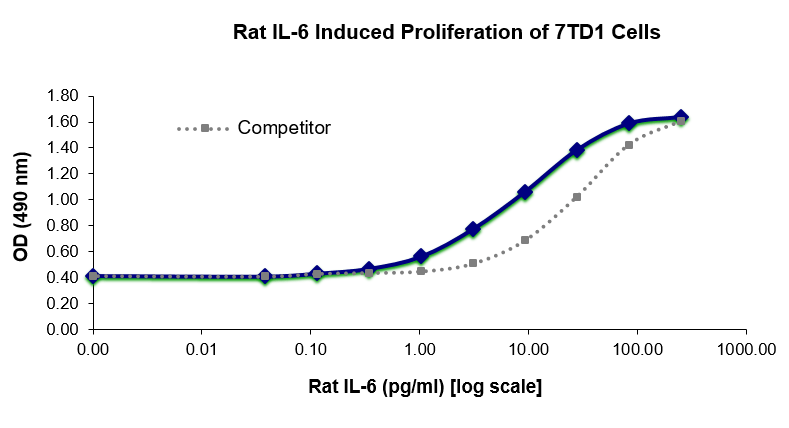 General Description of Recombinant Rat IL6 / Interleukin-6 Protein . Interleukin 6 (IL-6) is a cytokine that is expressed by T cells, macrophages, and muscle cells. IL-6 acts to stimulate an immune response upon infection or trauma. IL-6 has both pro-inflammatory and anti-inflammatory functions, is capable of promoting fever, and signals through the cell-surface type I cytokine receptor complex containing the IL-6Ra and gp130 chains. Host: QP5501 protein expressed in E. coli. Application Notes: Please contact us for application specific information for QP5501. Bioactivity Data: Rat IL6 / Interleukin-6 induces 7TD1 cell proliferation (typical ED50 is ? 10 pg/ml). 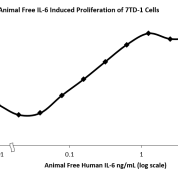 Concentration of Rat IL6 / Interleukin-6 Protein: Lyophilized. 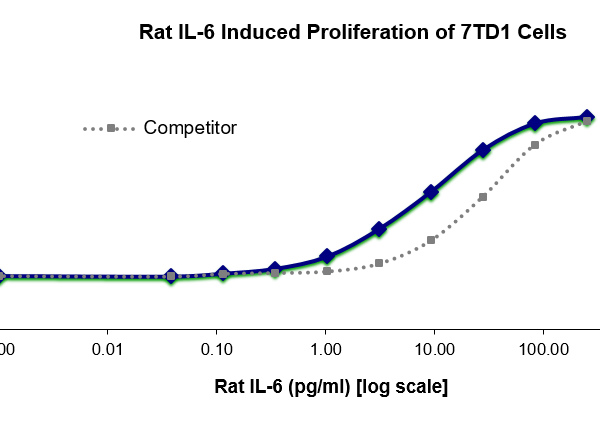 Concentration determined by reconstitution volume.